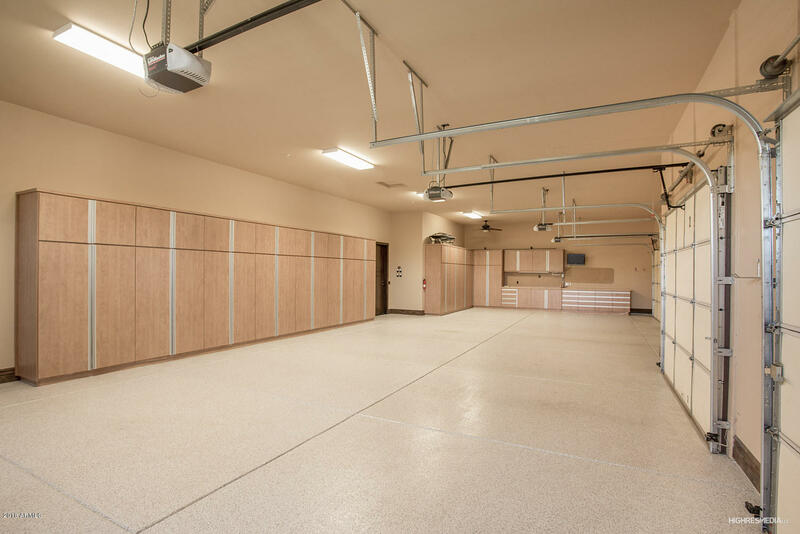 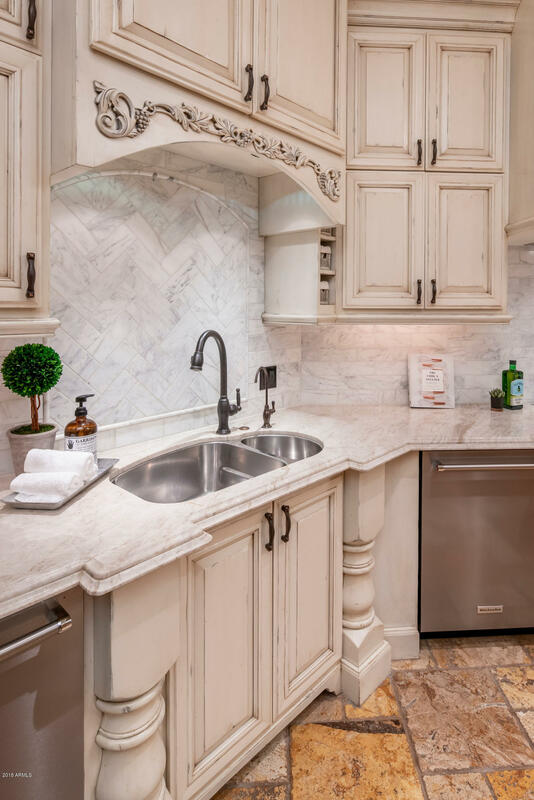 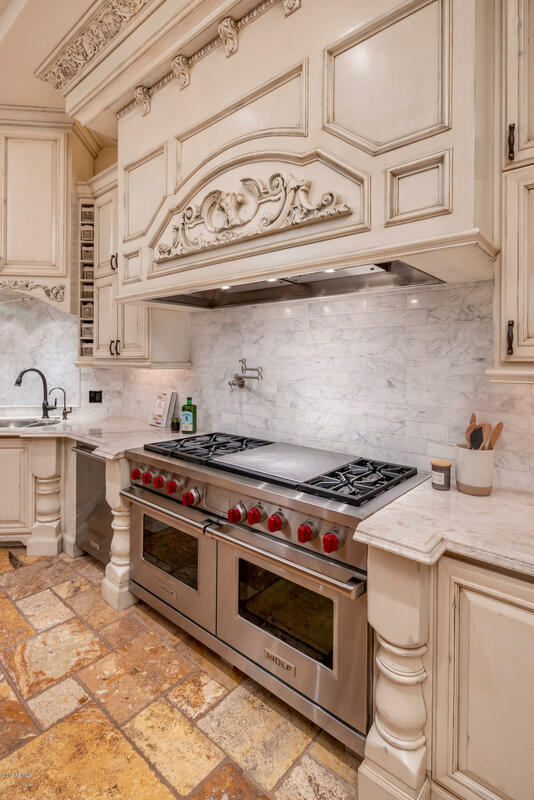 The masterful chef's kitchen was recently remodeled & features 2 sinks, 2 disposals, 2 brand new Kitchen Aid dishwashers, Wolf gas range, 2 ovens, Subzero professional refrigerator/freezer, Wolf Steamer, warming drawer, second gas cooktop, & huge island. 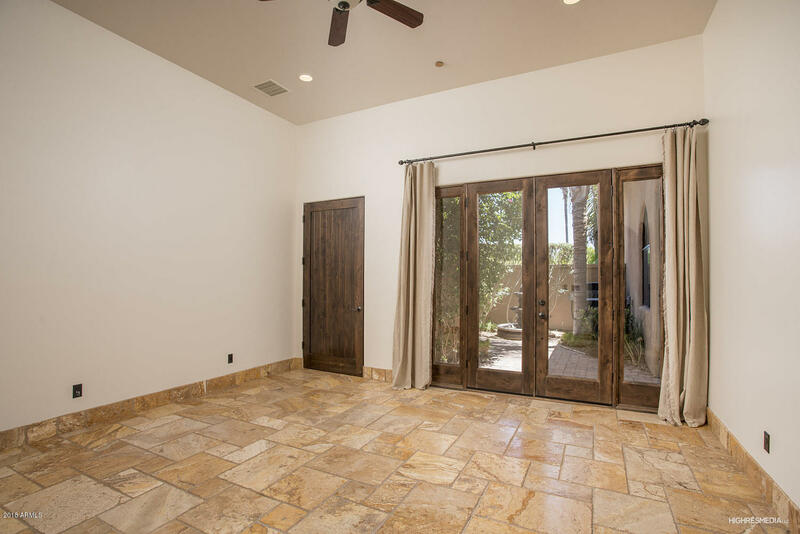 The kitchen & family room face a retractable wall of glass that opens to the patio making indoor/outdoor living effortless. 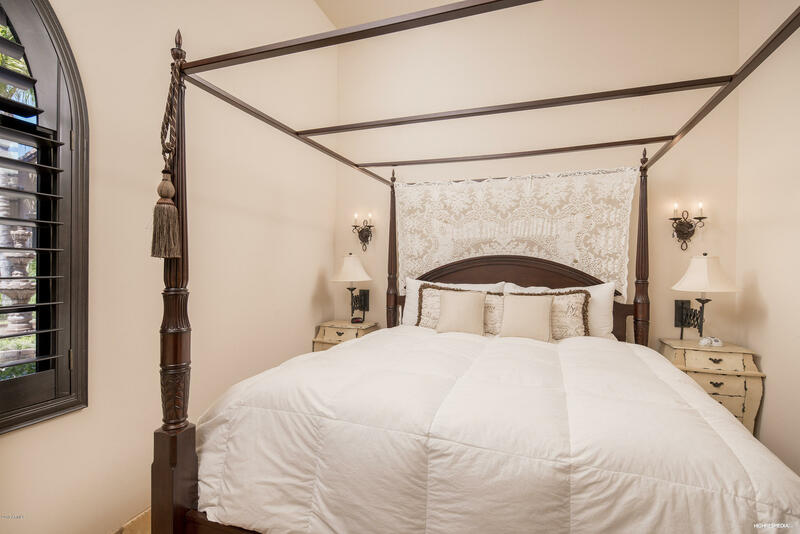 A separate guest house offers a kitchenette, great room, and elegantly appointed bedroom and bath. 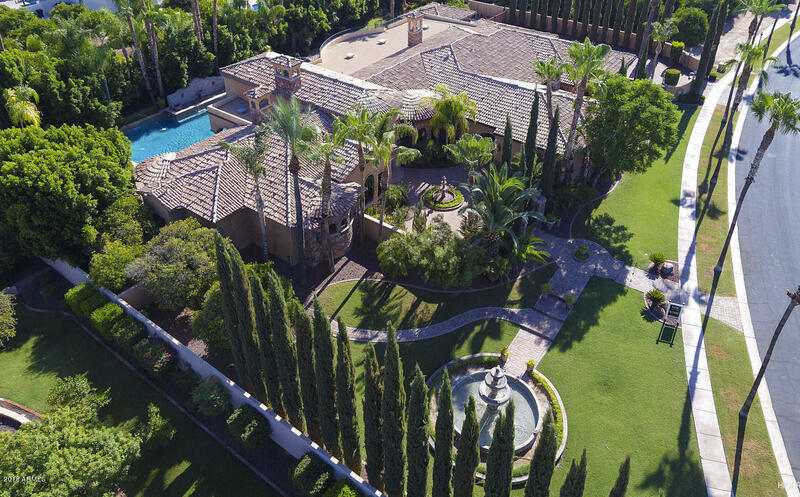 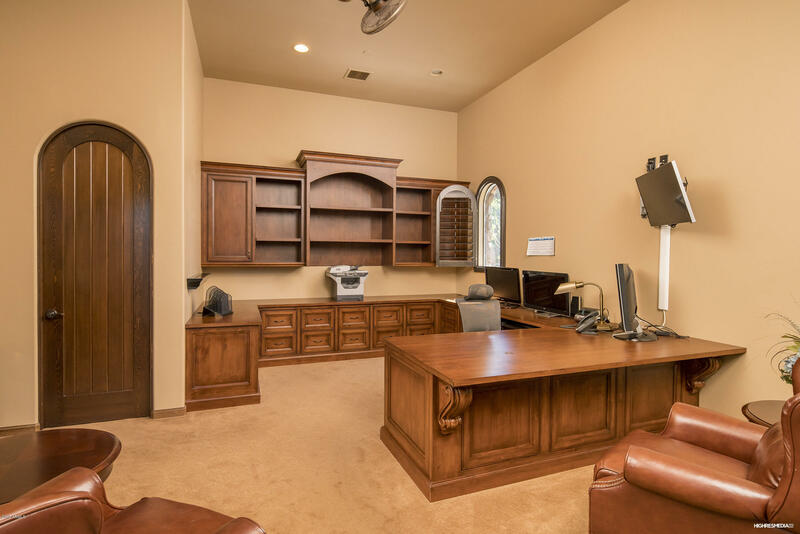 A detached executive office was designed with the CEO in mind and offers pool views and a private bathroom. 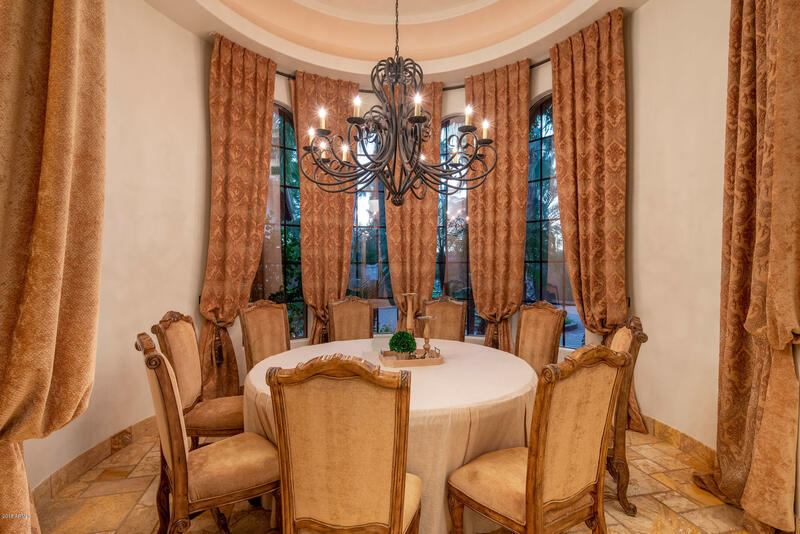 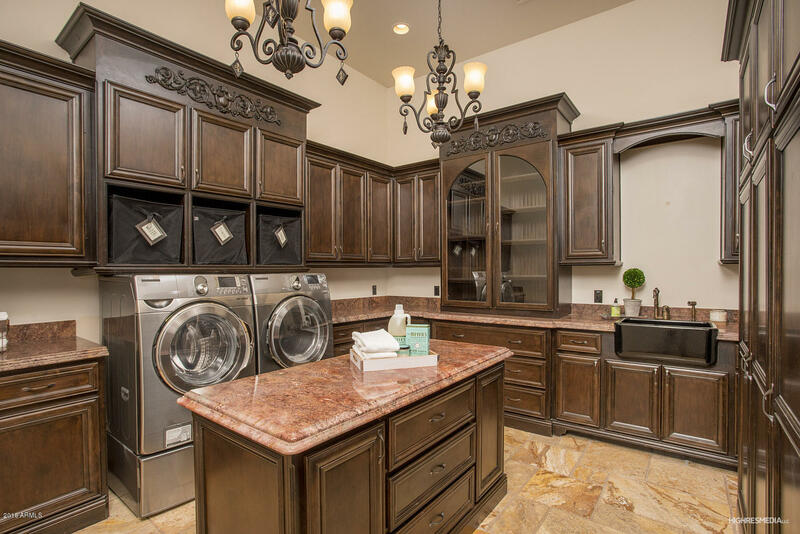 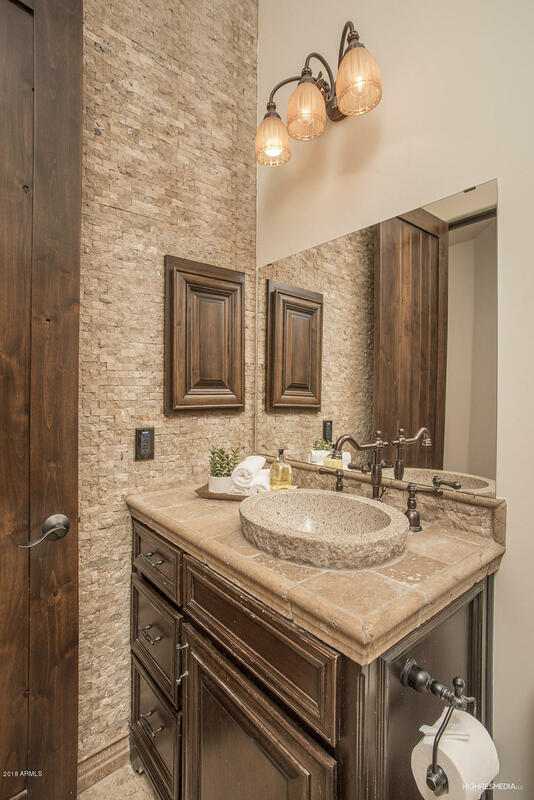 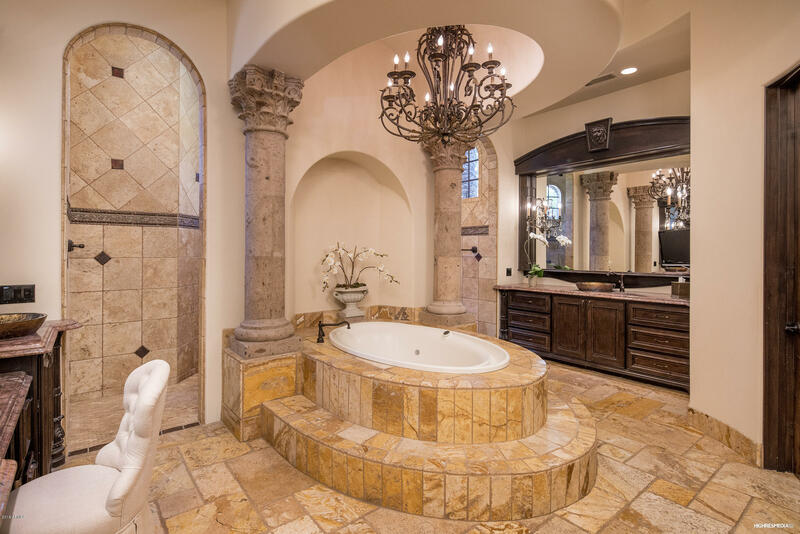 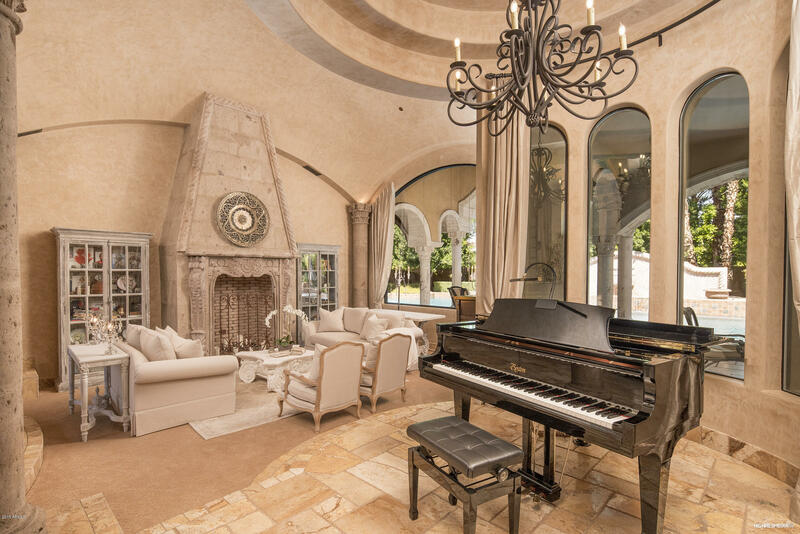 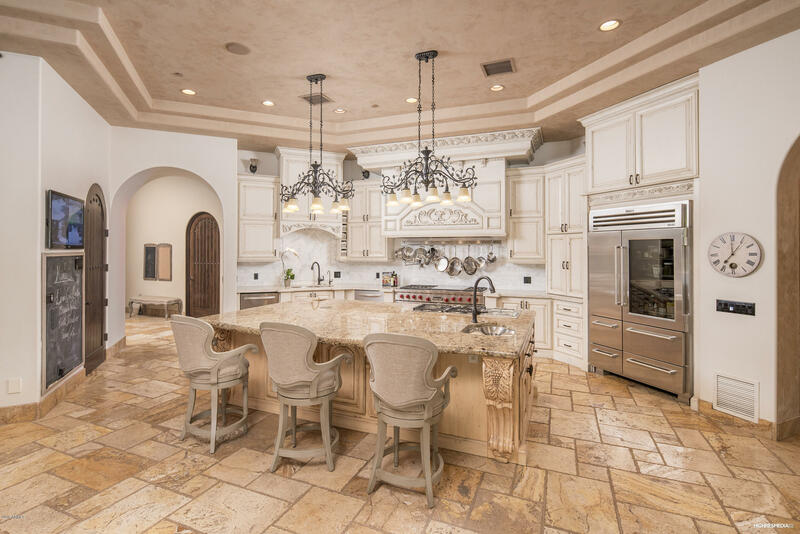 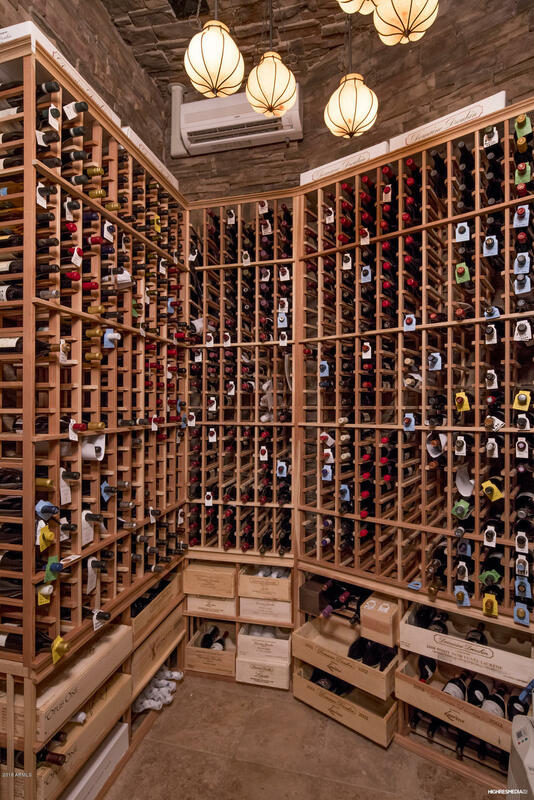 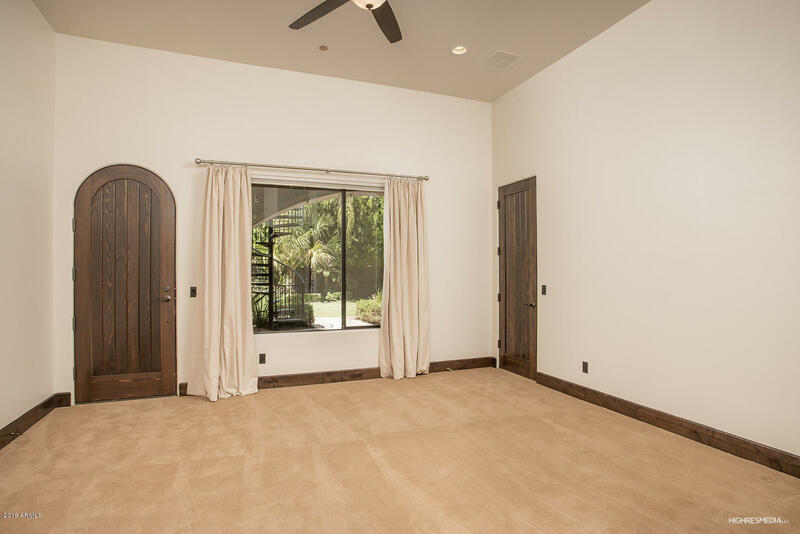 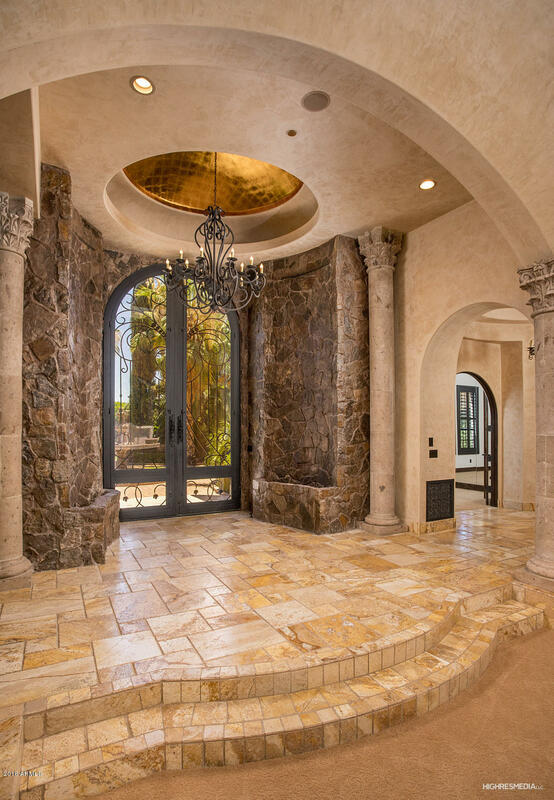 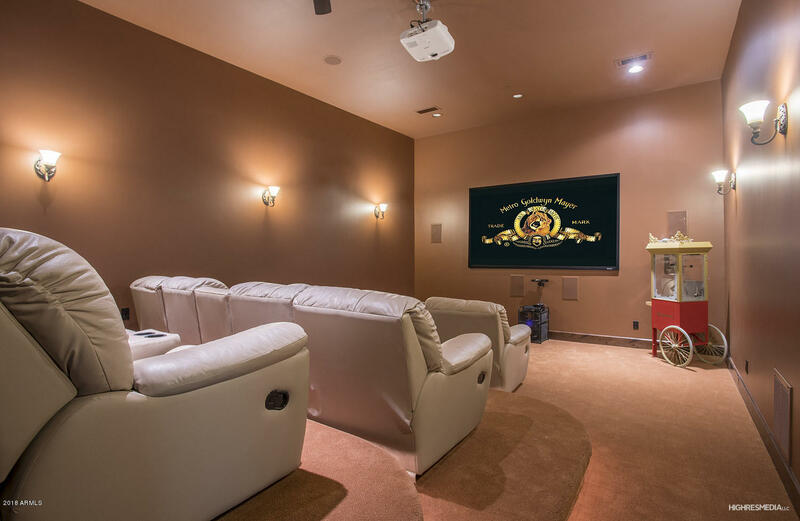 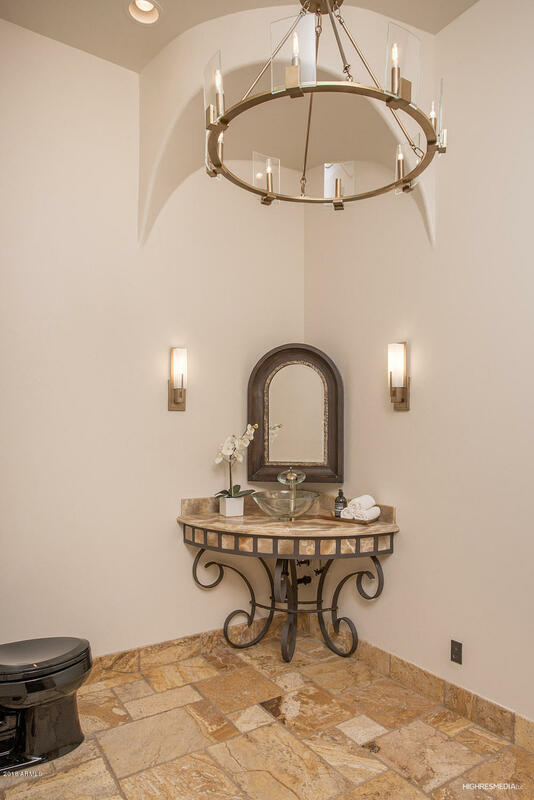 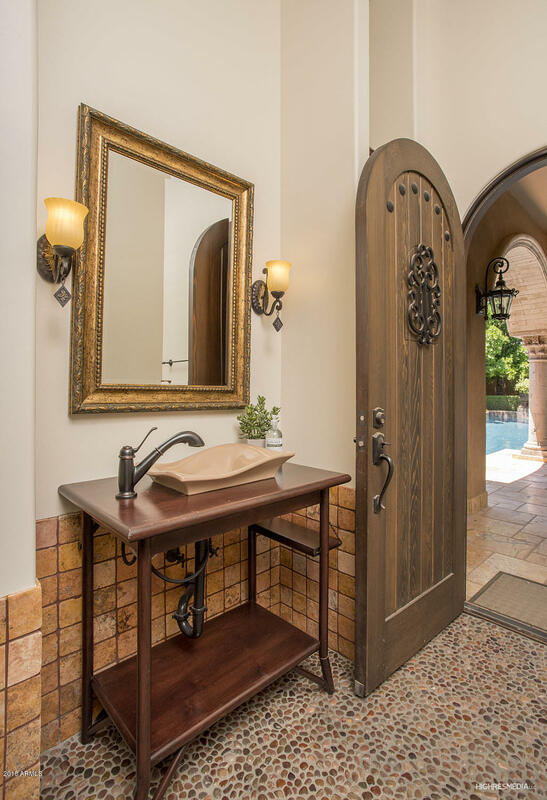 The home also features a 2,000 bottle wine cellar, large home theater, Control 4 System, custom iron doors, private motor court, stunning fountains, and custom finishes at every turn. 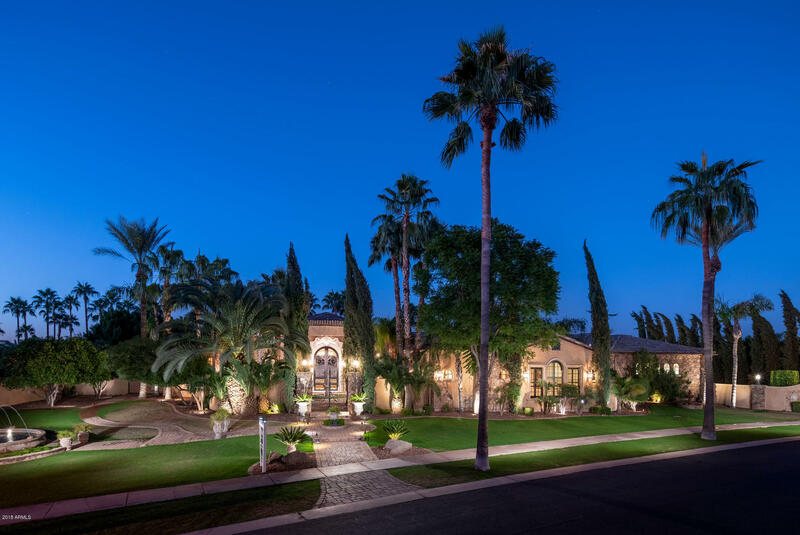 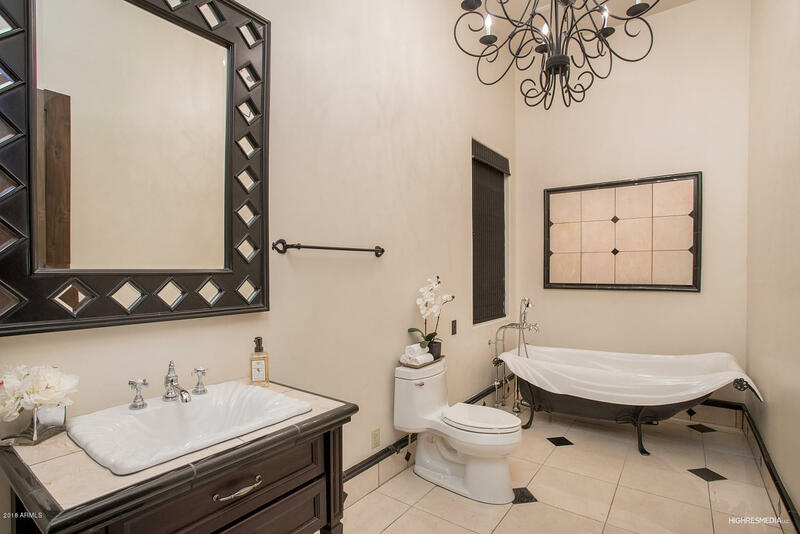 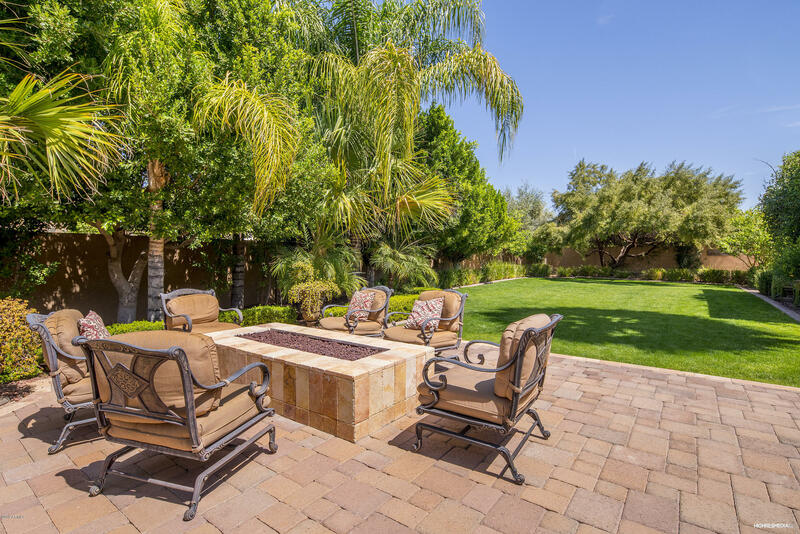 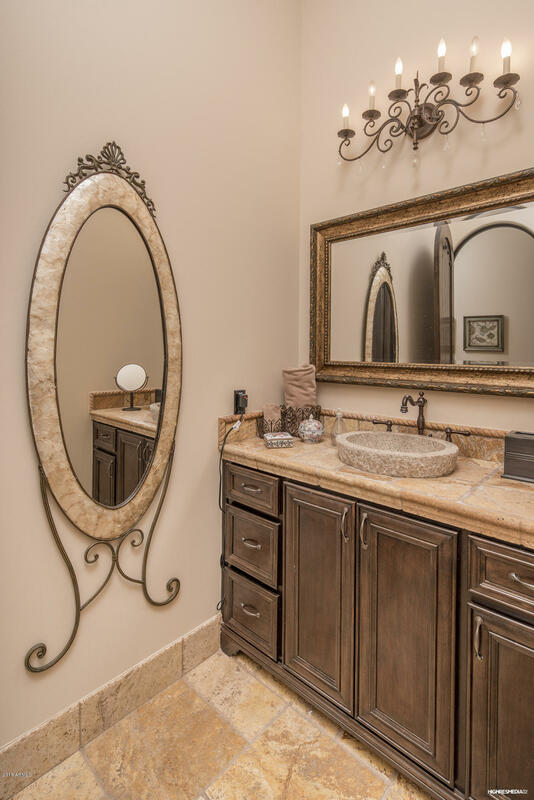 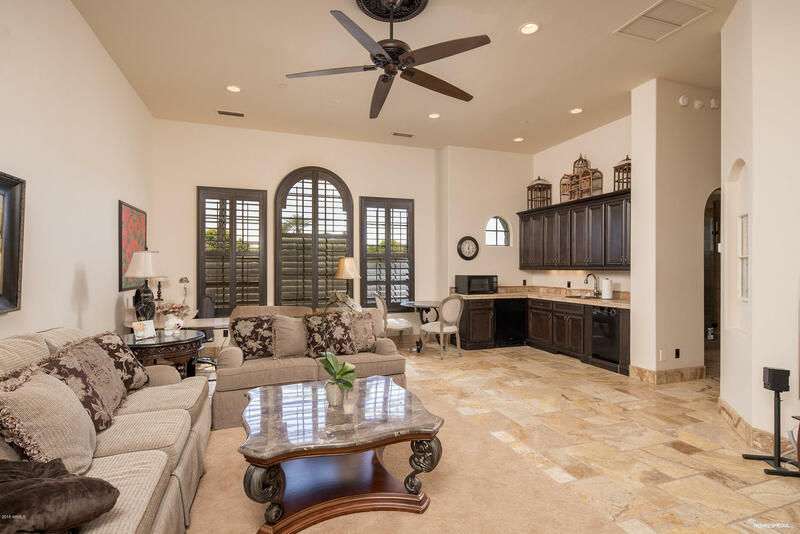 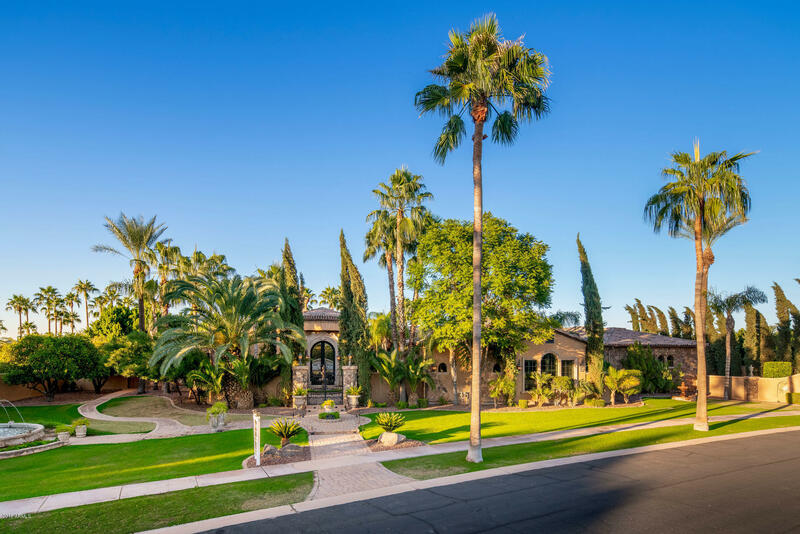 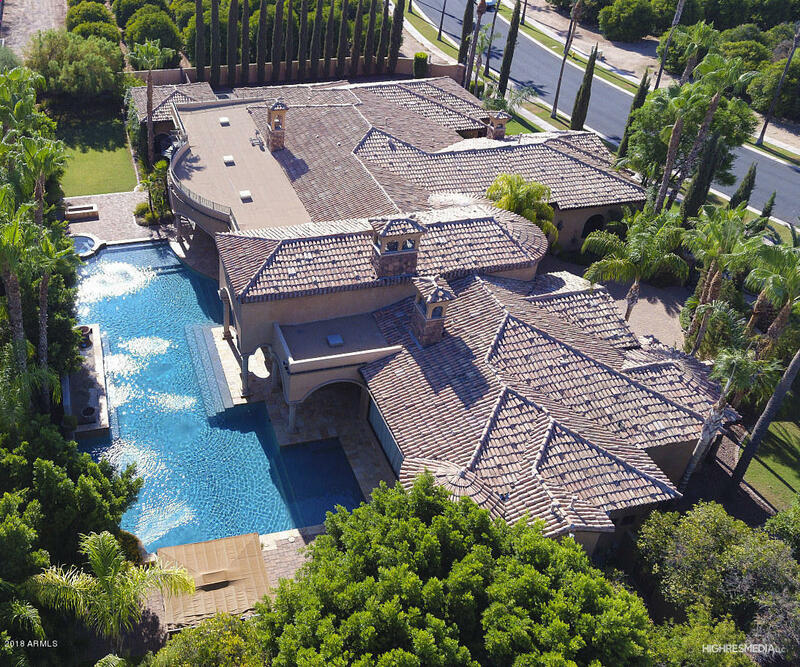 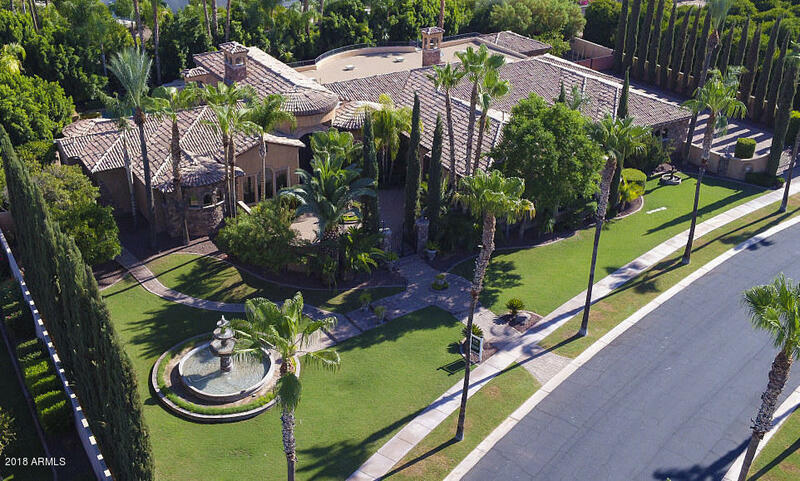 Fabulous location just 6 minutes to the 202 Freeway and 20 minutes to Sky Harbor and Scottsdale.